Use the only steel sign with a rugged, attractive design. 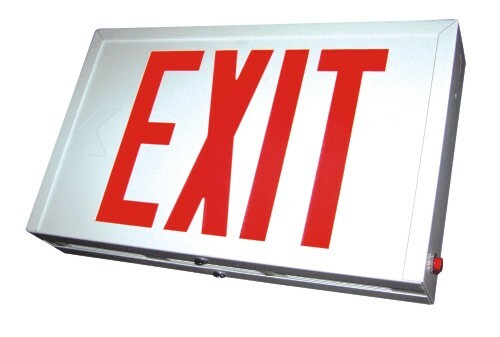 Steel Exit Signs guide the way to an exit in almost any conditions. • Steel Exit Signs have a universal 120/277 VAC transformer and feature a long-life Ni-Cad Battery. • This unit is Damp Location listed. • Universal canopy included, with universal chevrons.